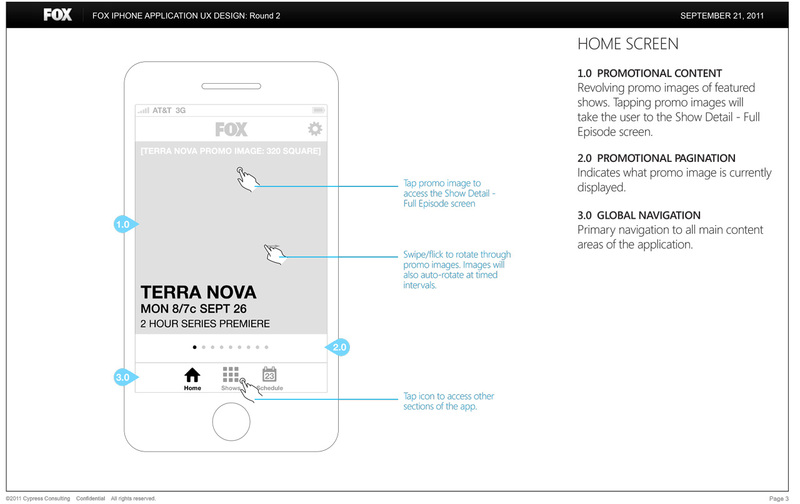 I worked with Art Director Jim Sharon to design FOX TV mobile apps for multiple platforms, as well as assisted him with design revisions for the iPad version. 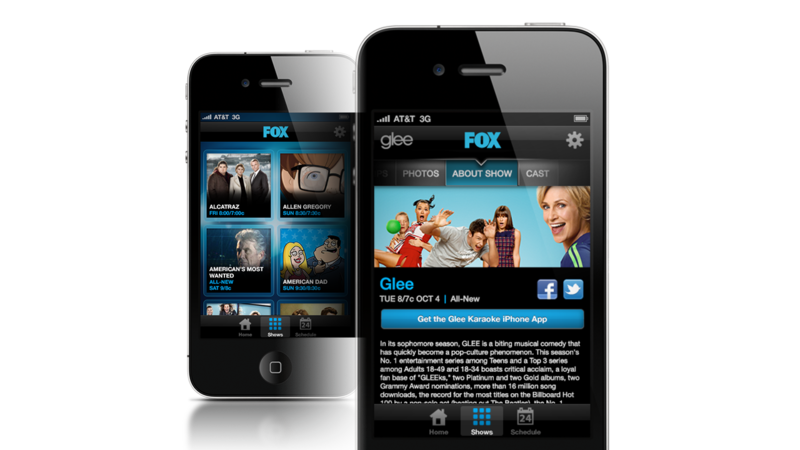 I handled all facets of design for the iPhone version of the app, from UX to UI, all the way through asset production for the dev team. 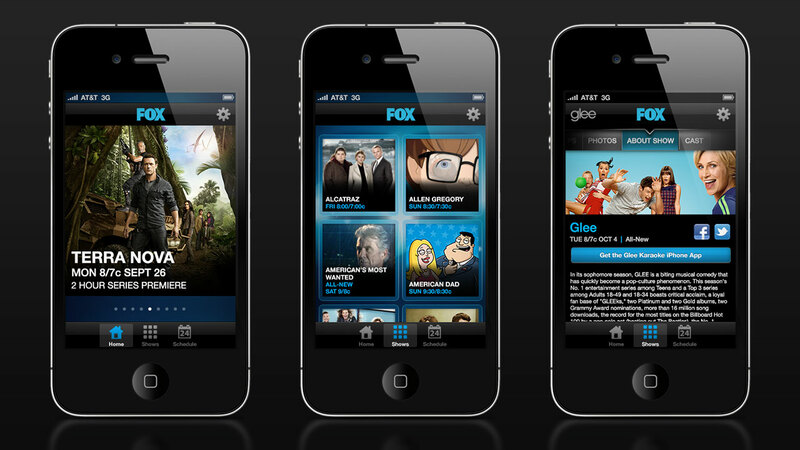 Here are a couple o' screens from the iPhone version of the app. 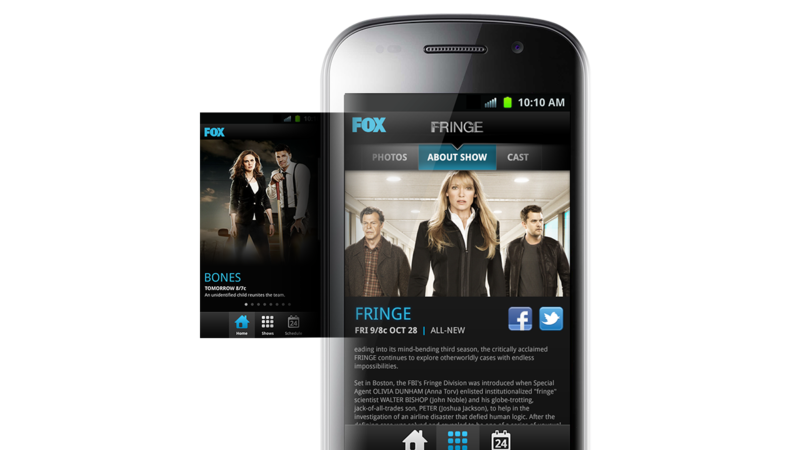 Since our timeline was tight and both apps were designed in parallel, Cypress hired a contractor to do the initial design for the Android version of the app. 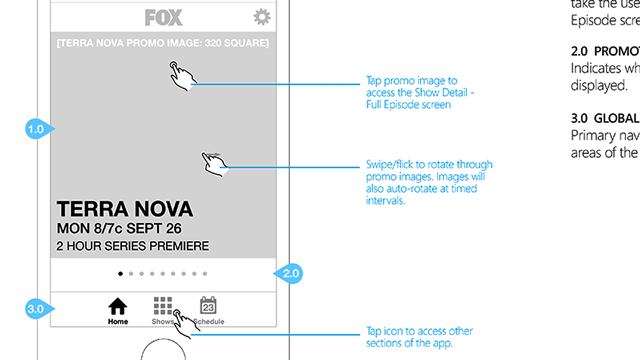 We made sufficient progress within the first couple weeks, so I completed the UX + UI for the Android version as well. 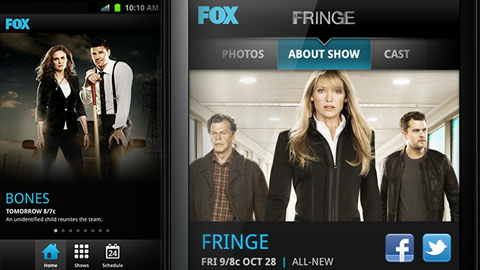 Here are two comps for the Android version. 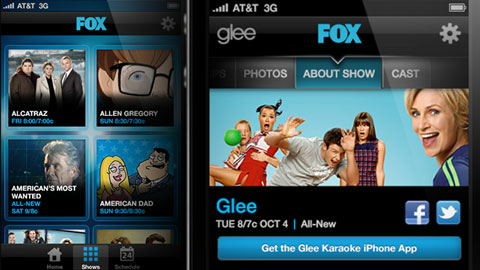 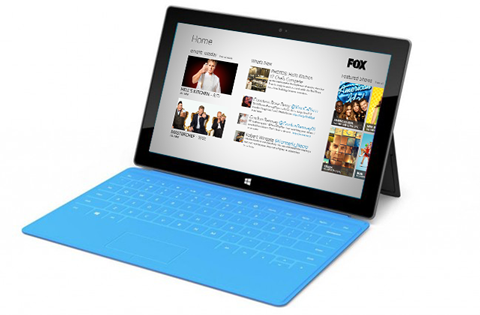 I also worked on a couple of other platforms for FOX TV - please visit the project page for Windows 8 and Xbox 360.